Online dating has swept the nation over the past few years but could true connections be a matter that's actually more primal? How do you know you've got the right companion for life and what are the tell-tale signs to flee from a potential dating or marriage partner? We'll discuss all of this and more on this episode of the Business, Life, and Coffee show. We're joined by Angeline Hart (bestselling author, speaker, and Relationship Coach) and we'll be discussing her breakthrough Gorilla Love System. In her bestselling book, Gorillas Make Great Lovers!, she and co-author Dixon Schwenk have identified 12 types of men and given each type an animal name, based on his focus in life. So on this episode, we're making a personal guarantee of "No more Mr. Wrongs!" Guys - tune in to learn about the different types of animal instinct. Ladies - tune in to assess your mate and decide whether to lovehim or leave him! 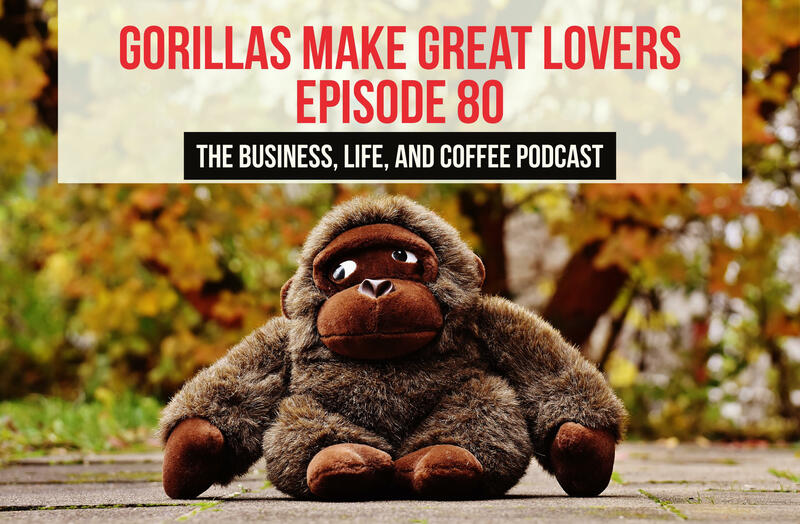 Angeline Hart and Dixon Schwenk (bestselling authors, speakers, and Relationship Coaches) and their breakthrough Gorilla Love System are the NEW buzz in the Dating & Relationship arena. In their bestselling book, Gorillas Make Great Lovers!, they have identified 12 types of men and given each type an animal name, based on his focus in life. Some of these types you already know: Shark (focused on financial success), Wolf (focused on sexual conquests). Using The Gorilla Quiz a woman can identify the type of any man. And men can take The Guy’s Gorilla Quiz to self-identify. It’s a fun system that moves people from the “meat market” mentality of online dating. Instead, women can identify the basic nature of the type of man she really wants. No more Mr. Wrongs!